From their amazing music to the devastating effects of drugs, The Red Devils’ story is told this month in a compelling piece by writer Paul Rees in the new issue of Classic Rock Magazine. 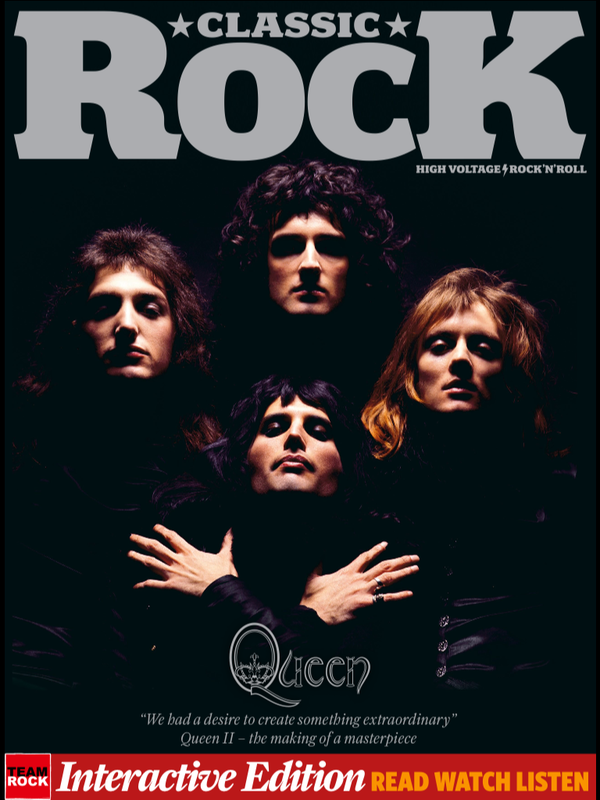 Issue #195, with Queen on the cover, is out in the UK and in digital editions now. Driving the Classic Rock story (titled “Fear and Loathing in Hollywood”) are fresh interviews with Jonny Ray Bartel, Bill Bateman, Alex Schultz, Billy Gibbons, Rick Rubin and Lester Butler’s sister, Ginny Tura. And new facts and side items are unearthed. Never before have the band members talked so openly about the troubles that destroyed the band, and led to Butler’s horrible — if inevitable — death. Rees traces The Red Devils beginnings to earlier than the Blue Shadows in 1988. He says that band was initially called The Stumblebums in 1986. Rubin’s two edicts for signing the band: Change the name, and hire a guitarist. Enter Paul Size. Though “King King” sounds like the best set of blues ever, it was recorded over three successive Mondays at the club. “That session is incredible. You’d have to ask Mick why he never chose to release it.” Even Rick Rubin can’t get the Jagger sessions released. If they were, they would likely lead, even at this late date, to recognition for the Devils, and new critical and commercial assessments of Jagger’s solo career. Bateman claims Butler “had actually clinically died four times in previous years.” His account of Butler waking up in the morgue under a sheet is almost impossible to believe. Dave Lee Bartel dropped out of the band in Dallas in a dispute over pay. Meanwhile, Butler was trying to hire all new band members. 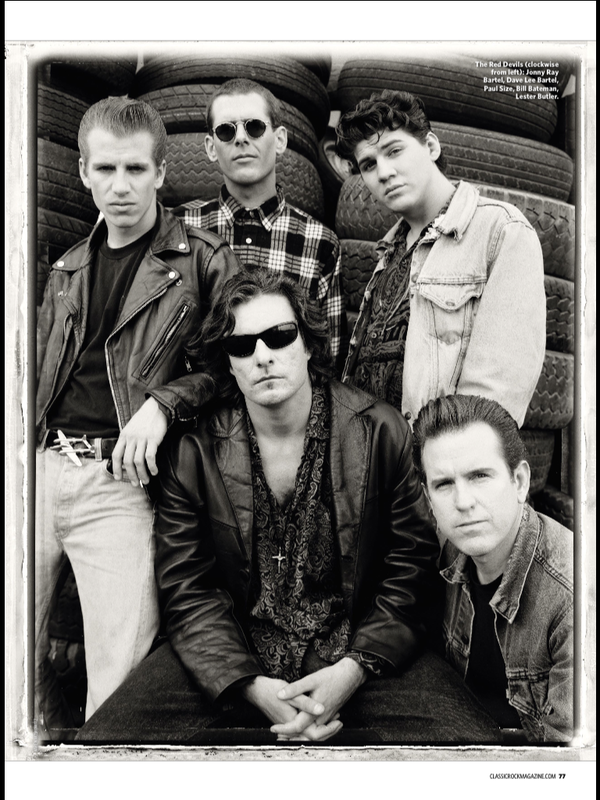 This all happened before their legendary European tour in early 1993. The details of the night of Butler’s death, Bateman’s role in the night and the aftermath, are harrowing. Rees included a comment by me in the article, giving some perspective from a fan. I made that reference to Brian Eno’s Velvet Underground comment before. To me, it fits here. When I talk with people about “King King” — granted, the results are biased because I often meet them through this blog — they agree that it is essential and, for some, life-changing (or, at least, blues-changing). Even all these years later, that passion continues to speak to the chemistry and abilities of five guys at a Monday night blues show in an old Chinese restaurant. This entry was posted on March 16, 2014 at 9:55 pm and is filed under red devils with tags alex schultz, bill bateman, billy gibbons, classic rock, classic rock magazine, jonny ray bartel, paul rees, red devils, rick rubin. You can follow any responses to this entry through the RSS 2.0 feed. You can leave a response, or trackback from your own site. I liked reading about Bateman’s origin of the band. I don’t believe all of that info has ever been mentioned previously. Interesting, his talk of Lester waking up in a morgue. No one else has ever said word of that before. There are some fresh pieces of information here, stuff that wasn’t even covered in Greatest Music Never Sold. I’m glad it finally made ink.